The postponement of Formula Renault for 2012 has left many single seater championships struggling to fill their grids and the MSA looking at ways to inject some life into the category. 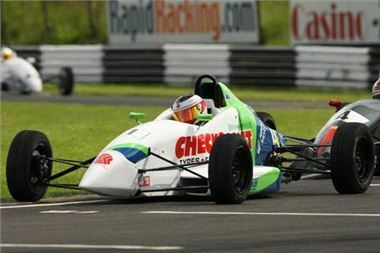 Meanwhile a potential solution may be found at the Castle Combe circuit. Formula Free is an 'anything goes' series of three races, where any single seater which can meet the noise requirements is welcome. for many competitors, Formula Free offers a low cost, low hassle, stress free, way to race on a demanding circuit, keeping you and your car, race fit. There are virtually no rules except the usual safety ones and the noise limit"
There are four classes split between cars above and below 2 litres and with or without aerodynamic aids and treaded tyres, giving opportunities for cars from Formulaes Ford, Renault, First, Vauxhall and Three. The first round is scheduled for June 4th, with the subsequent ones on July 22nd and October 7th.